A Canadian startup company whose invention lets dairy farmers check the quality of milk from individual cows is getting $1 million to set up shop in Buffalo. SomaDetect is the grand prize winner of the fourth annual 43North competition. The New York state-sponsored contest is meant to bring economic development to western New York by awarding cash and incubator space to winners who pitch ideas from all over the world. SomaDetect’s sensor technology allows farmers to detect illness in cows or impurities in milk. The company was established in Fredericton, New Brunswick, but must operate in Buffalo for at least a year. The runner-up company, Squire, received $650,000 during Thursday night’s awards. The New York City company’s app allows users to book and pay for haircuts at participating barbershops. 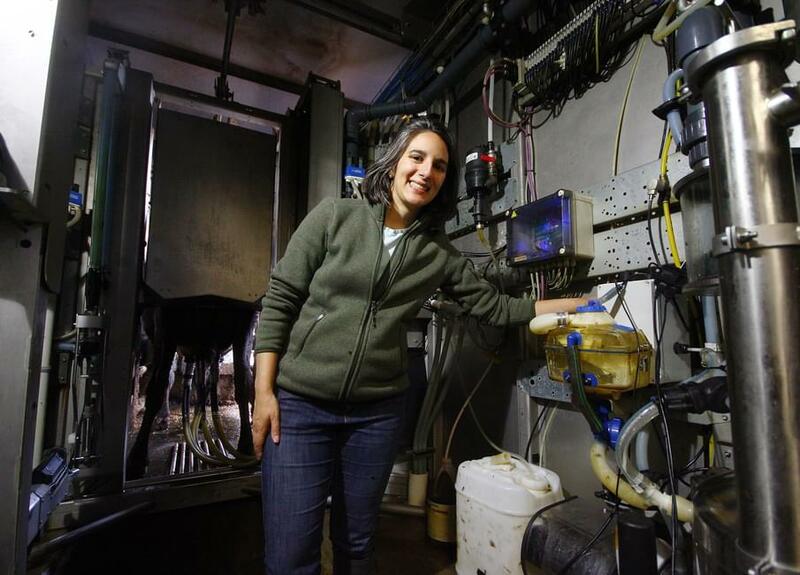 SomaDetect – The Future of Dairy from Bethany Deshpande on Vimeo.